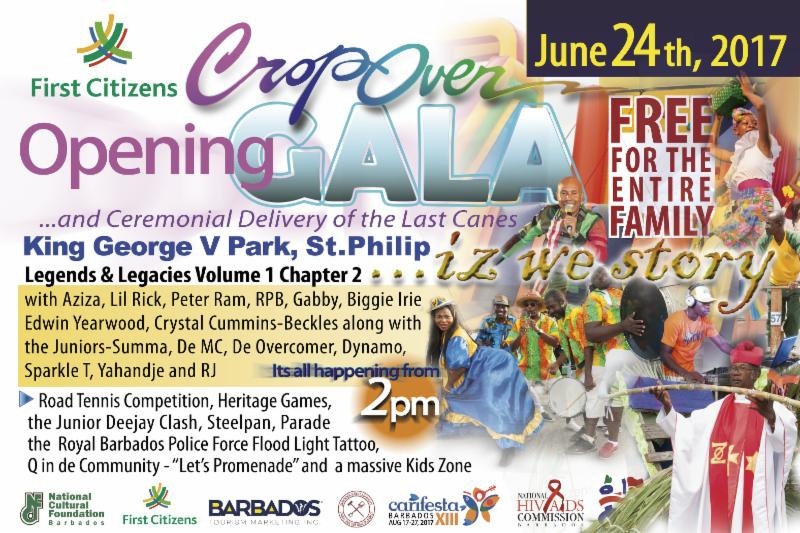 The Crop Over Festival Opening Gala showcases all aspects of Barbadian heritage. This year, the ceremony will be held at the King George V Memorial Park in St. Philip. There will be a Ceremonial Delivery of the Last Canes indicating the end of the crop or 'crop over'. A great day of family fun including a street parade, junior DJ competition, kid's zone, the RBPF Floodlight Tattoo, Q in the Community, road tennis competition, musical concerts, heritage games, great food and much more.